Based out of sunny Austin, Texas, HomeAway was founded over a decade ago. As frequent travelers, the owners felt a calling to help provide beautiful and affordable housing to avid travelers. So I thought I'd dig down and gather the full scoop on this service for myself and fellow LOS travelers. I'm going to take a look at what makes HomeAway unique, what properties are on offer in Thailand, how easy it is to use, and most importantly what the prices are like. 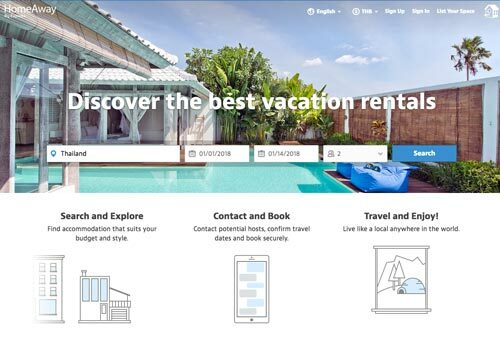 What Makes HomeAway Different From Airbnb? Recent years have spiked the popularity of websites like Airbnb and Roomarama, which may lead some to wonder what the difference is between these and HomeAway. Airbnb acts as a marketplace for rental locations. It takes full responsibility for listing spaces and is the middleman, financially. That’s right- if you’ve ever used Airbnb, you’ll know that Airbnb handles all financial transactions itself, for the sake of its users’ sanity. In the Airbnb system, hosts are not paid until a full day after a guest has checked in. Listing on Airbnb is completely free. Airbnb takes a tiny cut only after a location is booked. HomeAway functions a bit differently. At HomeAway, rental owners must pay to list their properties- essentially to advertise. Instead of acting as a mediator, HomeAway acts more like a facilitator, matching owners with interested renters. Duty done, HomeAway leaves the financial processing to the discretion of the two parties. It is not involved in processing payments. Chances are, if you’re booking a property you scour the reviews prior to punching in your credit card number. That’s just good business, right? Well consider the following before reading through reviews on either Airbnb or HomeAway. Of the two, Airbnb is the only service that prohibits reviews if each party has not interacted with each other. Meaning, you can only leave a review of a property if you have personally stayed there. Conversely, a renter can only review you if you have booked with them. This is not so with HomeAway, which permits any and all reviews. That's a potentially negative. But let's move on. What Kind of Properties Does HomeAway Have in Thailand? Sites like Airbnb and Roomarama focus on everything from extreme budget apartments to glitzy mansions, and HomeAway meets the competition with a range of options for renters, from apartments that are $25 a night on a beach in Krabi to villas that overage over $300 per night. In addition, HomeAway just launched their Luxury Rental site, which allows big spenders (or just big dreamers) to peruse the best and biggest properties in the most beautiful locations. Beachfront villas, anyone? The other day I was searching for a villa for myself and a friend in Krabi, Thailand- a beachfront community. The options ranged from simple and sufficient to opulent villas with well endowed views. 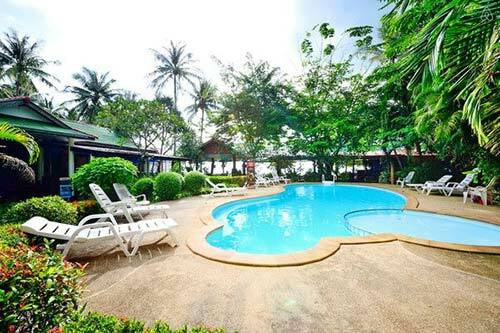 The point is, HomeAway in Thailand offers you a variety of options that are sure to meet your needs and your budget. There are always going to be cheap, less exciting properties as well as rentals that are drop-dead gorgeous. On the party paradise of Thailand’s Southern coast, this property has three bedrooms and sleeps 6 occupants. It has a minimum stay of 3 nights and averages out to about $200 USD per night. Located on a hillside overlooking the Andaman Sea, it is truly a magical place to stay when visiting Phuket. This tropical cottage is located off of the coast of Krabi. It is a 5 minute walk from Long beach and sleeps 2 in a single bedroom. The property comes in at $88 per night and is steps away from the action of Koh Lanta. 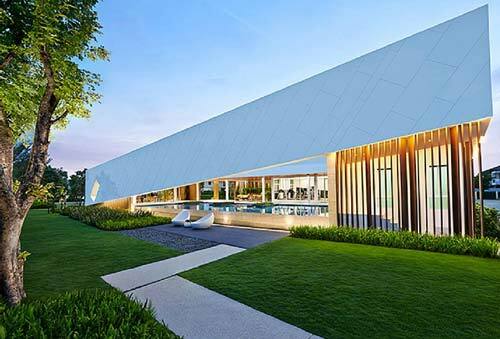 Located just 15 minutes from Don Mueang Airport, this garden-home offering in Bangkok is sure to attract those looking to stay near the airport, but is also only a 20 minute taxi drive from the hustle and bustle of Sukhumvit. Sleeps 4 in two bedrooms. Up for rent at $160 per night. 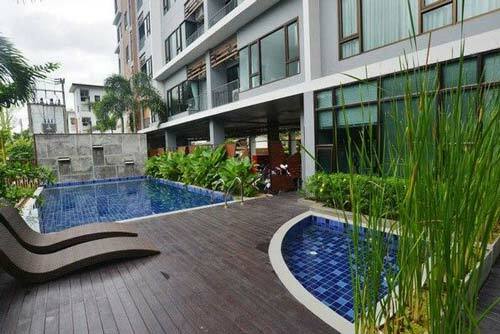 Situated in Thailand’s jewel of the North- Chiang Mai- this apartment complex is only 2km from the old city center and steps away from the famous Chiang Mai night bazaar. There are two bedrooms and a sofabed in the living room. A gym and saltwater pool are both located on the premises. The price is $59 a night. How many rentals are currently available in Thailand? 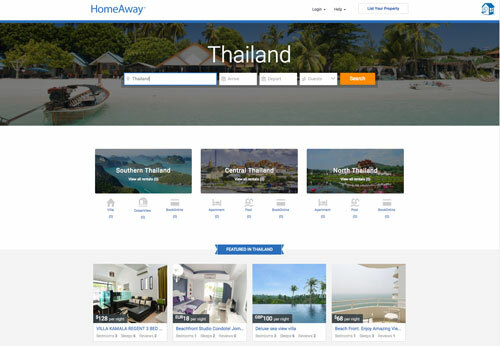 HomeAway boasts that there are over 2,000 vacation rental listings in the Kingdom of Thailand, though most seem to be concentrated in Thailand’s central hub (the Bangkok area) or near coastal areas, like Pattaya, Phuket, Krabi and Surat Thani. There are over 700 listings associated with Bangkok, 400 around Pattaya, nearly a thousand in Phuket, 200 in Krabi and about 200 in Chiang Mai. It’s fair to say that you have your pick. How Does HomeAway Compare to Renting a Hotel with Similar Facilities? One advantage of booking a house or apartment with HomeAway is that you can accommodate more people with a single reservation. Larger houses and villas often sleep 4 or more and could be a much more affordable and private option than booking 2+ separate rooms in a larger hotel. In addition, cleaning or maintenance fees can be split between the booking group, minimizing additional costs for occupants. Renters may also get better deals on private homes during transition seasons, or even special perks by property owners. I’ve seen property owners/managers offer perks like free airport pickup, inclusion of snacks or other food, cleaning service, etc. This kind of arrangement is especially agreeable if you are traveling with a family or a group of people. It keeps the group concentrated and allows for additional perks, like full bathrooms, kitchens and pools. If you’re looking for an accommodation with plenty of privacy and an abundance of space, I’d recommend checking out villas on HomeAway. If you’re looking to hop around Thailand and rent through HomeAway, make sure you plan your trip well in advance. Though it is possible to get accommodations on the fly, many locations are booked ahead of time with HomeAway so spontaneity may not be the best course of action! The website is pretty straightforward and very visually attractive, with large pictures of dreamy destinations that make site visitors want to whip out their credit cards. The first thing you see is a search bar for destination rental locations and a drop down menu where you can select anticipated travel dates. Search filters allow you to customize your trip with selections like property type (apartment, condo, house, lodge, resort, townhome, villa, boat, bungalow or even castle), location type (beach, downtown, lake, mountain, waterfront, golf, skiing) as well as a myriad of features (air con, fireplace, hot tub, outdoor grill, pool, washing machine, etc). The features tab also allows you to customize the number of guests staying, a minimum and maximum listing price, number of bathrooms, long term rentals and more. The scratchpad feature is a really great addition to HomeAway’s website. It essentially allows a renter to keep track of recently searched and viewed properties. This is helpful in those moments where you’re wracking your brain to figure out where the heck that gorgeous waterfront rental went you viewed a minute ago. Scratchpad to the rescue! The mobile HomeAway site is, in my opinion, easier and less cluttered than the desktop version. It is clearly laid out and properties were listed in single file order, making it easy to sort through them. But Wait, How Secure is HomeAway? In theory, emailing a property owner or manager should be quite simple and logistically it is. On the listing details page, there should be a link labeled “send a message” or “send email” where you can fill out the appropriate form and send it along to the owner. HomeAway requests that owners to respond to any questions within one to two business days, and advises renters to book an alternate property if a property owner does not get back to them expediently. In the rare case that an owner or manager does not respond after a booking has been completed, HomeAway’s customer service team can assist you with your inquiry. Fortunately, HomeAway realizes that its system may be prone to complications between renters and property owners, which is why they’ve enacted the ‘book with confidence’ guarantee. In essence, this guarantee provides travelers with the assurance that payment will be protected against phishing, misrepresented property and listing fraud. In addition, renters receive 24/7 customer service, in addition to comprehensive rebooking assistance if something falls through with an existing rental. While those renting properties rarely enter into the agreement with the expectation of damage, accidents happen. So HomeAway provides damage protection to renters that covers everything from broken lamps, windows, glass, electronics, doors, walls, furniture, stained linen or bedding and missing keys. This damage protection plan is available for $59, which covers up to $1500 worth of damage. There is no excess and renters can use the online portal for quick claims processing. Most listings on HomeAway offer instant booking, which allows the user to book the property (dependent upon its availability) and pay immediately. Most also accept major credit cards, in addition to eCheck. You simply select the bright green “instant booking” button and you’ll be prompted to provide payment details. Alternative payment, such as PayPal, check, bank transfer, etc is up to the discretion of the owner or property manager, which can be unfortunate if you’re uncomfortable handing over your credit card information. Hang On, I heard There is a Service Fee! Unfortunately, all good things come with a price and this holds true for HomeAway’s mandatory service fee. It comes out to approximately 6% of the rental amount (don’t worry- this does not include your deposit or the taxes added on at the end). This fee covers features included in your HomeAway experience, including customer support, mobile accessibility and marketing efforts. How can I check if my payment has gone through? Ever looked at your credit or debit card statement wondering what the heck all of these obscure charges are? This happens to me an embarrassing amount of times and my eyes glaze over trying to remember all of that month’s card swipes. Luckily, HomeAway’s presence on your statement is pretty recognizable: you should see “Pay*HomeAway + your reservation ID”- note that this may show up as two separate charges. Also, don’t panic if you see “VacationRentals” or “VRBO” instead of HomeAway- they’re all part of the same family! What is the refund policy – if my rental is a nightmare? When you receive a confirmation email after booking, it’ll include cancellation instructions. Read this carefully! If the policy provides a full refund, all fees should be returned to you. Partial cancellation policies will not refund the costs associated with booking. In addition, you can purchase Cancellation Protection, which will give you a little bit of support in the face of non-refundable trip costs. It’ll insure your trip cost up to $50,000 and reimburse you for a cancelled trip due to sickness, injury, flight issues or job loss. Luckily, HomeAway offers clients customer support through both email and phone 24 hours a day, 7 days a week. And yes, you can talk to a real person. Unfortunately, at this time HomeAway does not offer a dedicated Live Chat option. Be sure to check out the reviews on the properties and the property owners. These can be extremely illuminating and you definitely want to be safe, rather than sorry. In addition, start planning your trip about six months in advance. I know, I know. Scheduling that far in advance can be painful if you’re trying to navigate around multiple busy schedules, but it will really ensure a smooth booking and a greater variety of choices! Read the fine print on all agreements. This is a doozy. No one wants to break out the reading glasses, but if you don’t, you may just be signing up for an agreement that doesn’t suit your needs. Be sure you understand the cancellation policy. All in all, I think that HomeAway is a reputable, exciting choice for booking properties in Thailand. 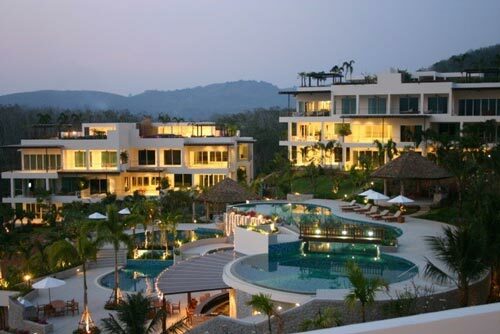 They have a variety of properties (over 2,000) that range from budget accommodations to luxury villas. HomeAway also offers a comprehensive rental insurance program and cancellation policy, and they are also available to assist with 24/7 customer service. This makes me feel better about the one-to-one transaction between myself and the property owner, asI had slight reservations about paying property owners/managers directly, but ultimately felt secure in my booking.